Lauretta and Jerry Ofulue with their son Omali and a picture of their late son Otito. The parents of a boy with severe autism who died when he was just four years old were so impressed by the care he received from a specialist nurse that they decided to become learning disability nurses. 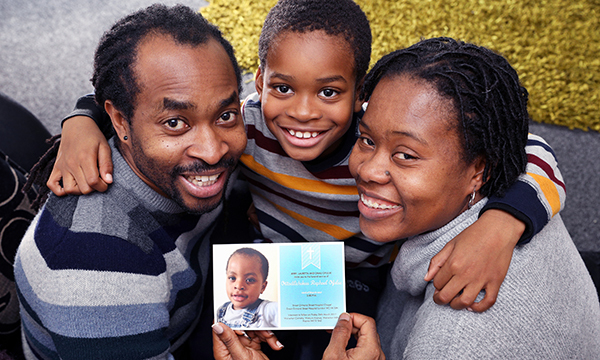 Lauretta and Jerry Ofulue were supported by Jim Blair, then a learning disability consultant nurse at London’s Great Ormond Street Hospital (GOSH), during the last year of their son Otito’s life. Ms Ofulue is now in her second year of training at the University of Northampton, while Mr Ofulue plans to train once she has qualified. For now he is carrying on working as an accountant, supporting Ms Ofulue and their other son Omali. ‘We wanted to train together, but with the whole bursary and funding going off, I’ve had to take the loan, so I’ve been very logical about it. I need to finish and then he’ll start training, otherwise we’ll struggle,’ says Ms Ofulue. As the mother of a child with severe autism Ms Ofulue experienced first-hand the importance of having specialist nurses who are attuned to the needs of those who cannot speak up for themselves. Otito's needs were so demanding that she abandoned her career as an economist. Otito died in 2017, age four. 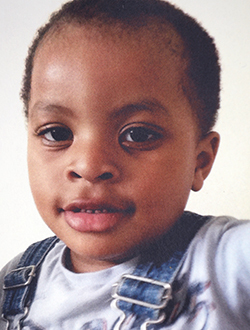 During his short life he spent long periods in hospital, including one year at GOSH where he was treated for propionic acidaemia – the inability to use proteins and fats – which leads to a build-up of toxins in the blood. ‘We spent four years with many healthcare professionals. We saw first-hand how all their work helped our son.’ says Ms Ofulue. Ms Ofulue tried to learn about his condition so she could effectively communicate with his medical team. But even so, it was a struggle to get the care she felt her son needed. In particular, Ms Ofulue struggled to convince the healthcare team that her son needed strong painkillers as Otito was not exhibiting the typical signs of being in pain. The turning point came when they met Jim Blair at GOSH. Ms Ofulue uses what she has learned through caring for Otito to support other families. She set up the Whispering Hope website to share her experience. ‘After Otito passed away I had all this knowledge through looking after him, so nursing just seemed like the next thing to do.